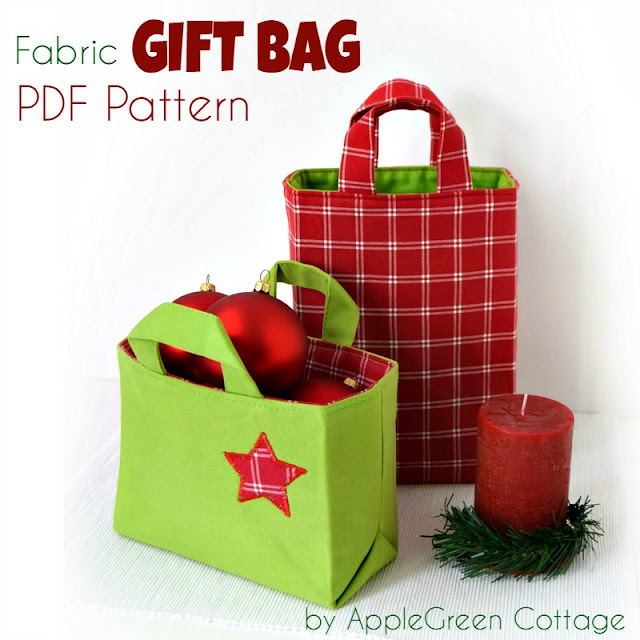 This fabric gift bag pattern is an easy and quick sewing project for a reusable fabric gift bag in 6 different sizes and forms, for all your Christmas presents. It can double as an alternative to Christmas stockings, too. Right on time for Christmas sewing! 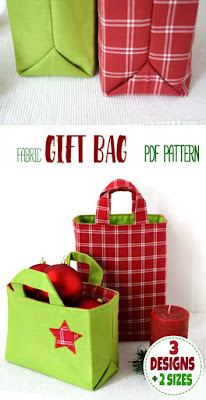 Time to choose a new holiday sewing favorite - and this time it's not the gift itself, it 's the ultimate gift-wrapping solution for all sewing enthusiasts out there - a unique, tailor-made, easy-sew and over-the-top cute DIY gift bag! 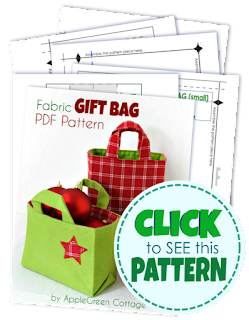 This beginner sewing pattern could become your gift-wrapping go-to project for all occasions: birthday presents, baby shower, anniversary, teacher-appreciation, and the king of all holiday seasons - Christmas! Now's the time to make them and stock up on gift wrap. 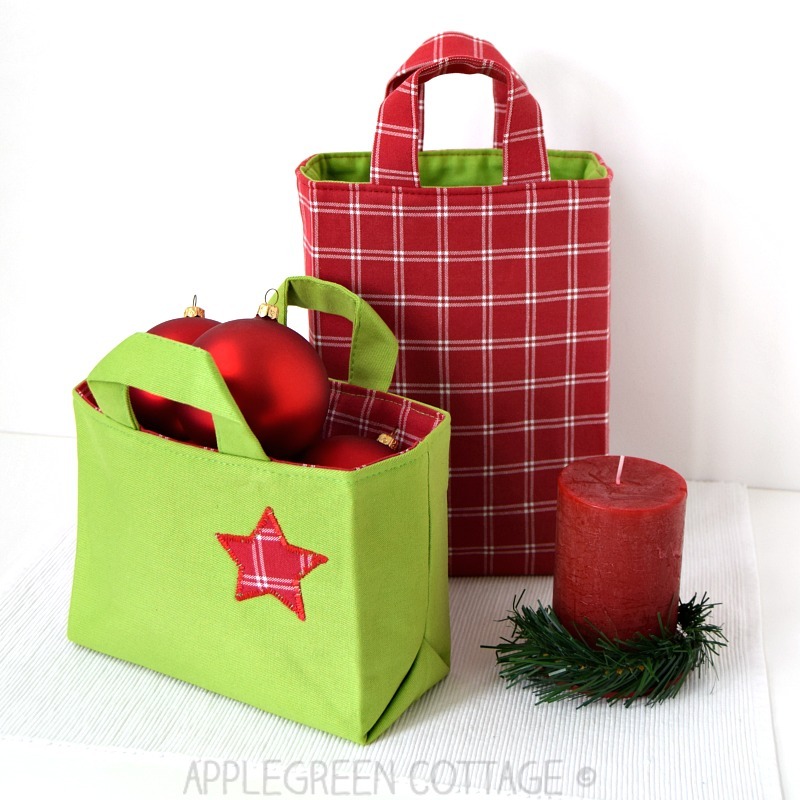 It's the only type of gift bags that will last, and be reused, even thrown in the washer - and that will let you showcase your pretty fabric! Stability: Stands on its own. Convenient: folded flat, they take up very little space. Stock up on them and use them later! 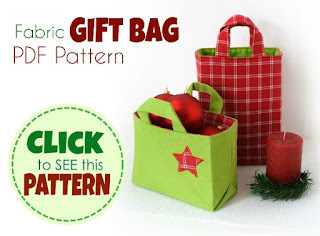 Multi-purpose: perfect to personalize the Christmas, birthday, baby-shower, or even a wedding favors bag. 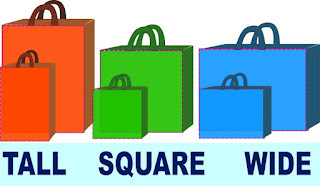 The pattern comes in 3 different designs to fit any gift dimensions: tall, square or wide, and each of these 3 designs comes in 2 sizes: small and large. More About the Pattern HERE. 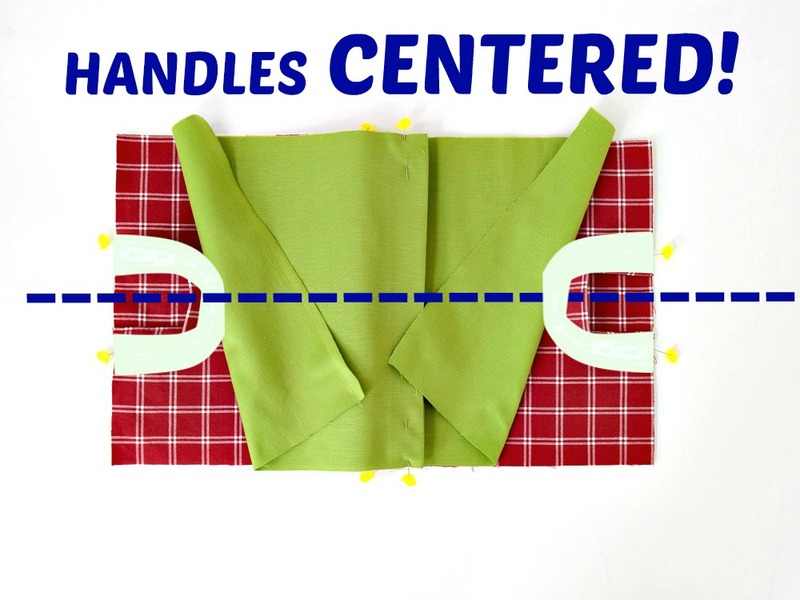 Supplies list and interfacing recommendations. Learn how to make gift bags with only basic sewing skills, it's a quick and beginner-friendly project not requiring any advanced sewing skills. 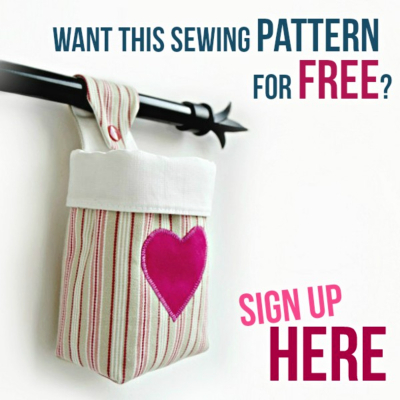 Straight stitch only, no corner boxing, nothing fancy - except for the LOOK of your new handmade gift bags! 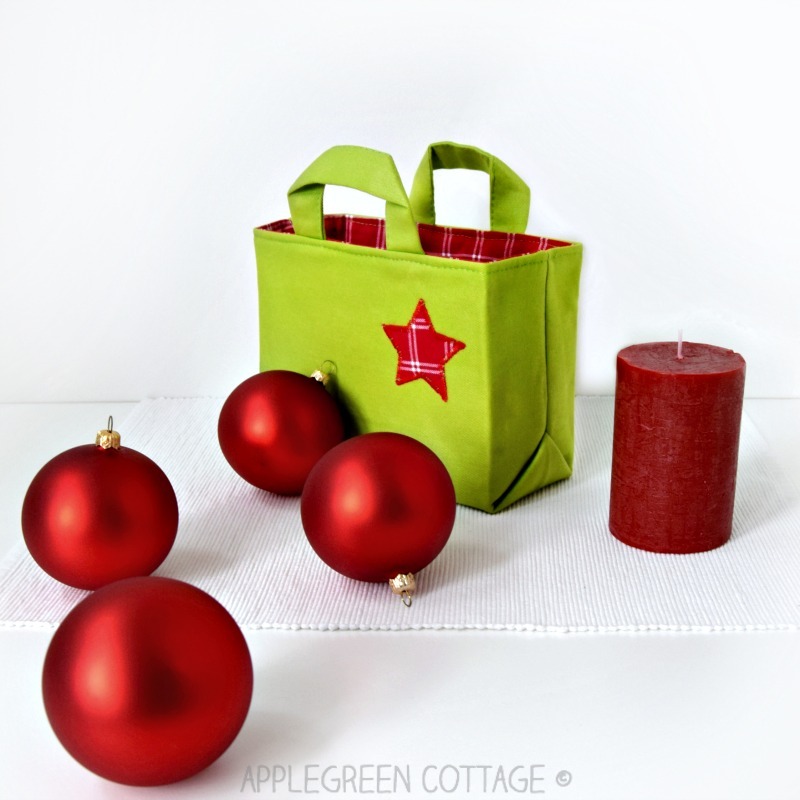 With these reusable fabric gift bags, you'll never run out of options. 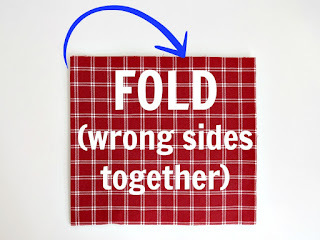 Make it in canvas, quilting-weight cotton, home decor fabric or faux leather, mix and match materials as you feel like. 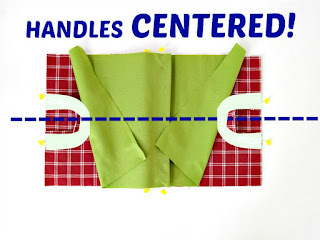 Countless variations, cute and practical! You can stock up on them, so you have them ready for Christmas time. 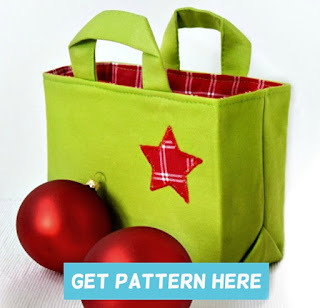 Get the pattern, make tons of gift bags, in all sizes and formats, and you're all set for Christmas. And any and all birthdays, anniversaries, baby-showers and the like. 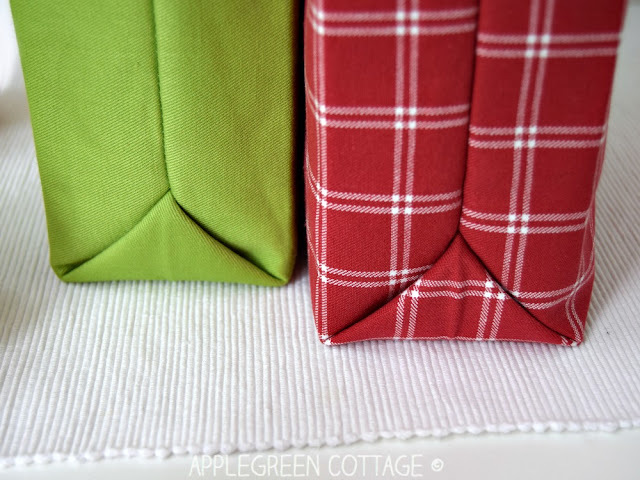 They can even be used as handmade wedding favor gift-wrap! 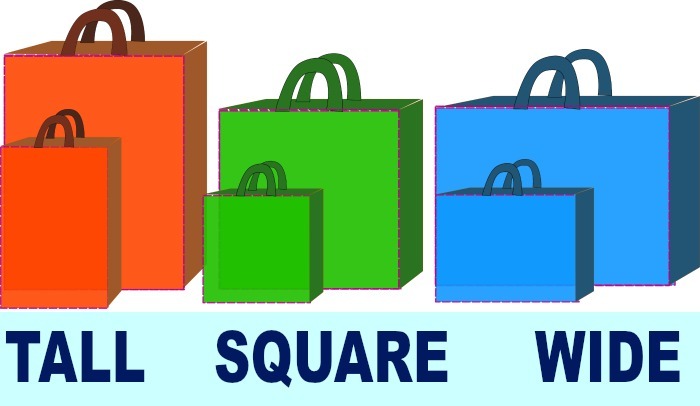 Play with sizes to see which one is the best for you. One of the 6 options will surely fit any of the gift sizes! 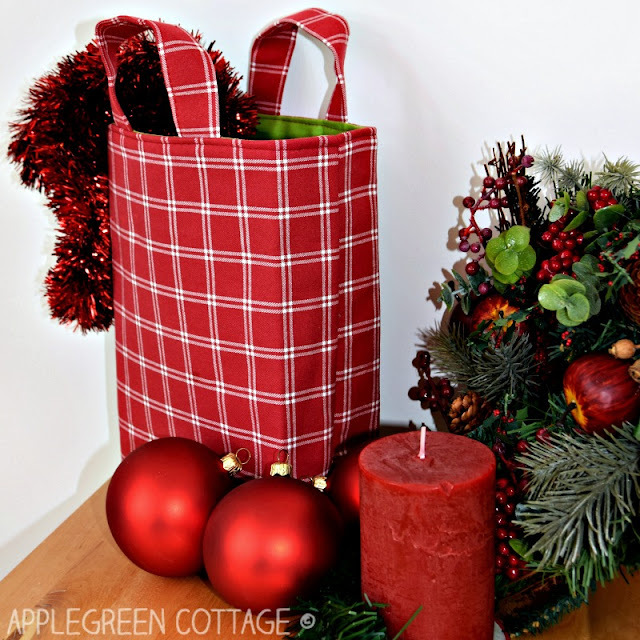 Add warmth to your Christmas gift-giving with your own handmade gift bags. 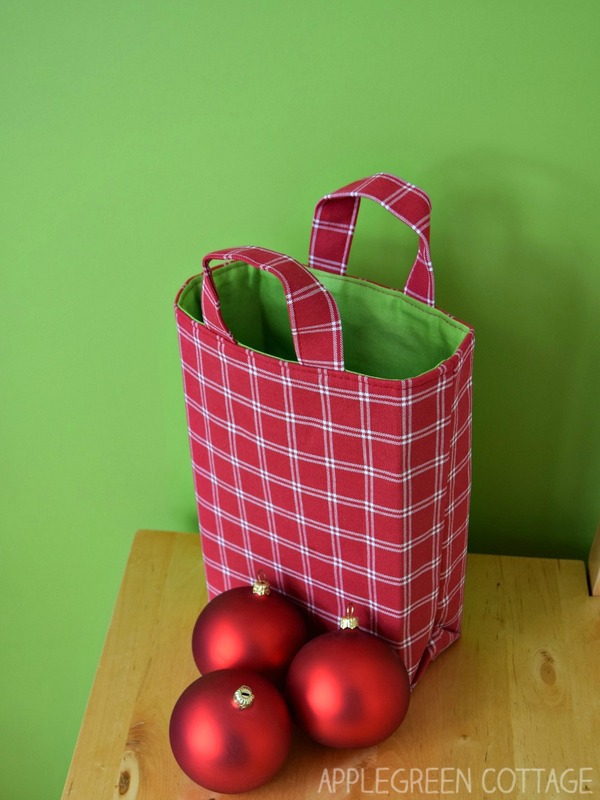 Ditch the store-bought bags and go green! 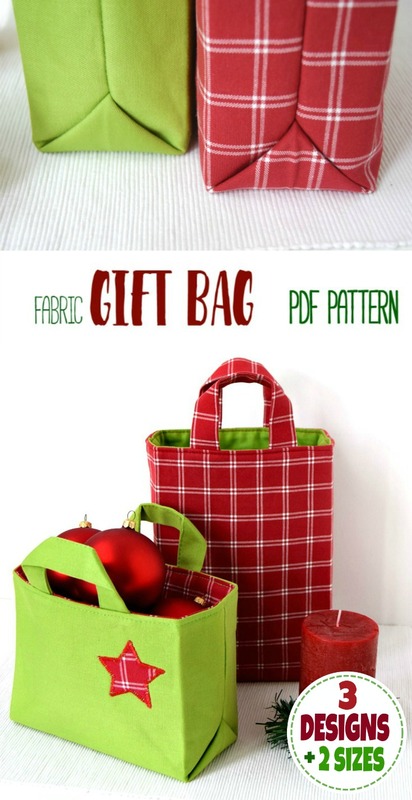 Make reusable, personalized, and made-to-fit Christmas gift bags, they can be reused each year. A perfect way to put some of your pretty fabric on display, don't you think? 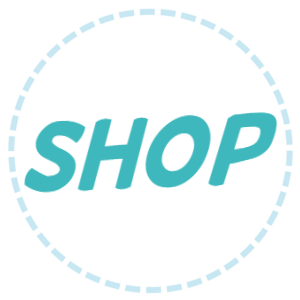 Click through to my (new!) tiny shop to get the pattern. This looks awesome! I just bought the pattern! Am so excited to start making these for Christmas and eventually birthdays/baby showers. I am having a hard time finding fusible felt interfacing. 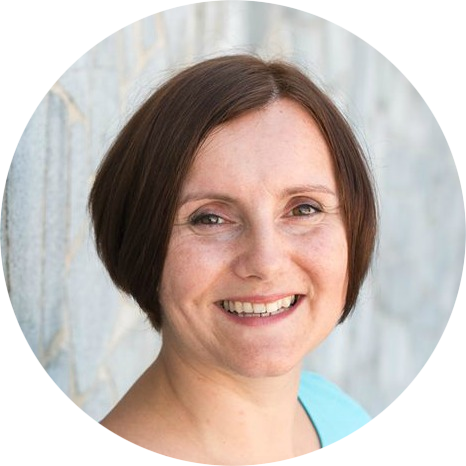 Do you by chance recommend a certain type or have a link? Thanks so much! 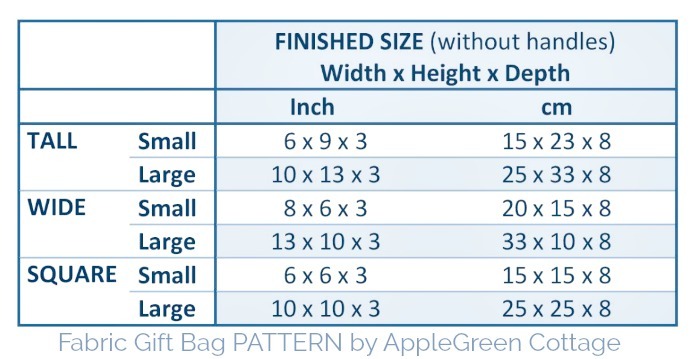 Can't beat reusable fabric bags for gifting, Damjana. Looks like a great pattern.